Home / Celebrities Gist / World Best Player Cristiano Ronaldo, Now A Proud Father Of Twins, Eva And Mateo! World Best Player Cristiano Ronaldo, Now A Proud Father Of Twins, Eva And Mateo! 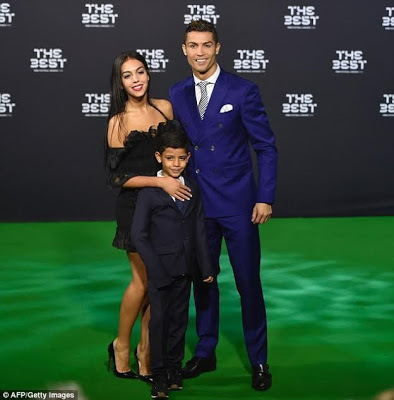 Word best player Cristiano Ronaldo who is presently dating Spanish model Georgina Rodriguez and a father of six-year-old Cristiano Ronaldo Jr who is rumored to have been born by a surrogate mother, has reportedly become the father of surrogate twins. According to Portuguese TV channel SIC, who described the news as 'a secret', the twins, a boy and a girl, named Eva and Mateo, were born last week Thursday. So far, there is no official confirmation from his agent or the footballer who is currently enjoying his Champions League glory, but several Portuguese websites and newspapers including leading Portuguese daily Correio da Manha have published the story.